My husband and I spent a few days in Austin, Texas, to see my youngest son and did a little shopping in the SoCo (South Congress St.) district. 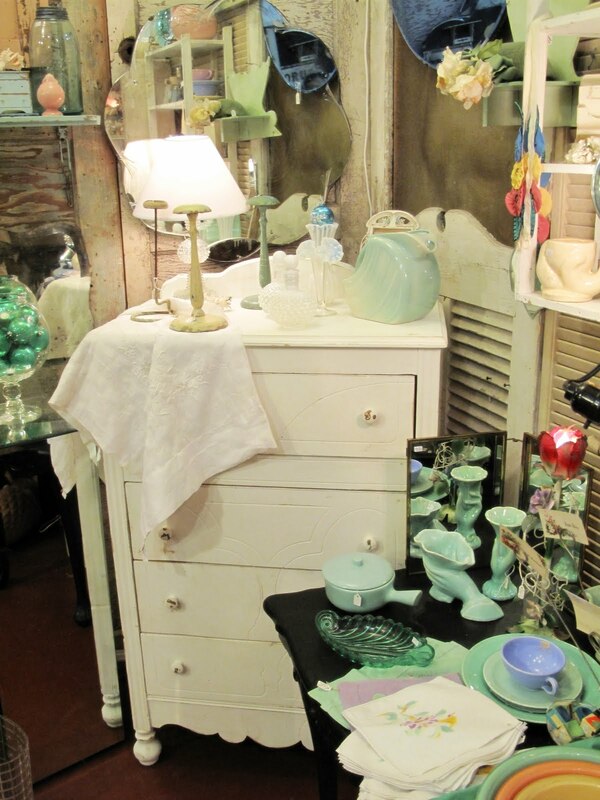 There’s a shop called Uncommon Objects and it’s to die for! 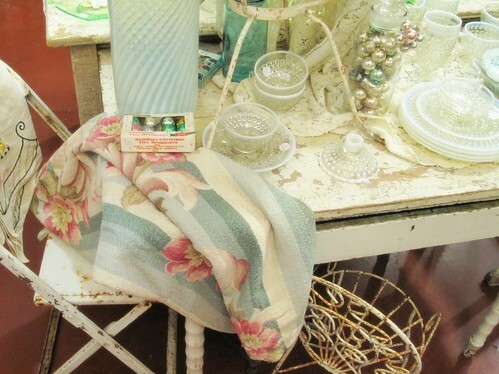 Beaucoup de choses for shabby chic decorating which I love right now. 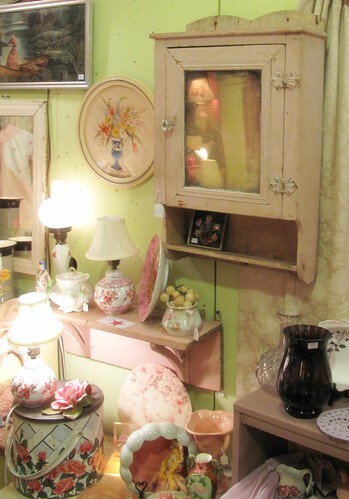 Antiques like old typewriters, doors, dishes, etc. etc. 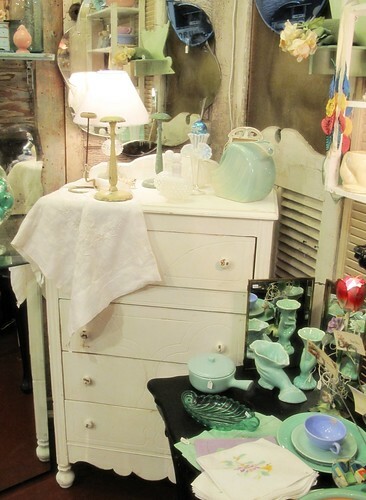 I took some pics of their lovely vignettes. Someone really has an eye. Enjoy…. 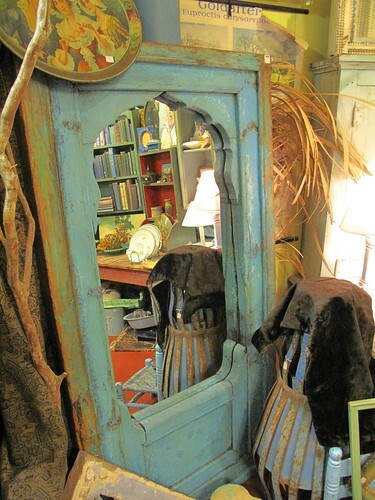 I am loving this mirror and wish we could have brought it back, but way too risky on an airplane, alas. I love the blue and the pink in these photos…. Dreamy, yes? How do people think of this? I’d love to photograph this store every month because I’m sure they sell just about everything. 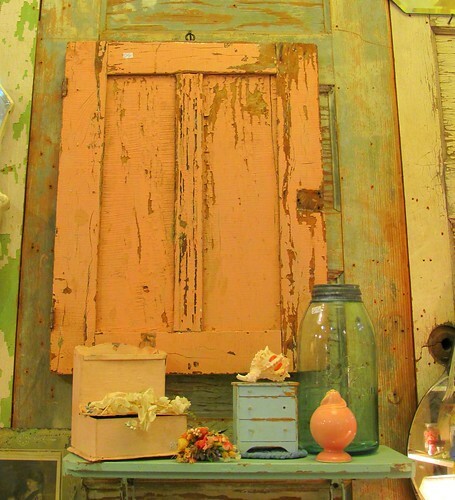 This entry was posted in Austin, decorating, photography, shabby chic, vintage and tagged antiques, Austin, blue, pink, SoCo, South Congress St., Texas, Uncommon Objects. Bookmark the permalink.